Gap Inc.’s Mission Control Prepares for the Best (and Worst) of Peak Season | Gap Inc.
For any online retailer, there are certain things you never want to hear during peak shopping season: “The promo code is broken,” “people can’t check out,” and “the site crashed” are just a handful of worst-case scenarios. 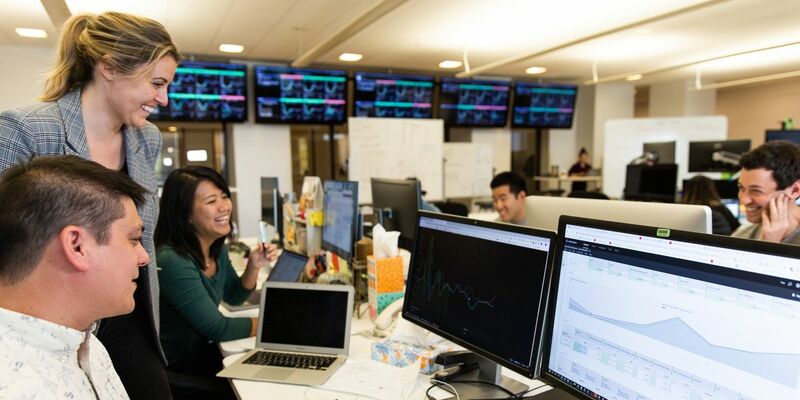 The digital teams who work in Gap Inc.’s Mission Control center test scenarios all the time, gauging site stability and risk, especially in the lead up to peak. Gap Inc.’s digital business is $3 billion annually and growing, including the online and mobile sites at Old Navy, Athleta, Gap, Banana Republic, and the new kid on the block, Hill City. That’s a huge responsibility and challenge for the people who monitor the sites in real time and safeguard the customer’s online experience every day of the year. The Mission Control center is located in the heart of Gap Inc.’s San Francisco headquarters. There are widescreen monitors showing real-time performance of each of the brands’ e-commerce activity. 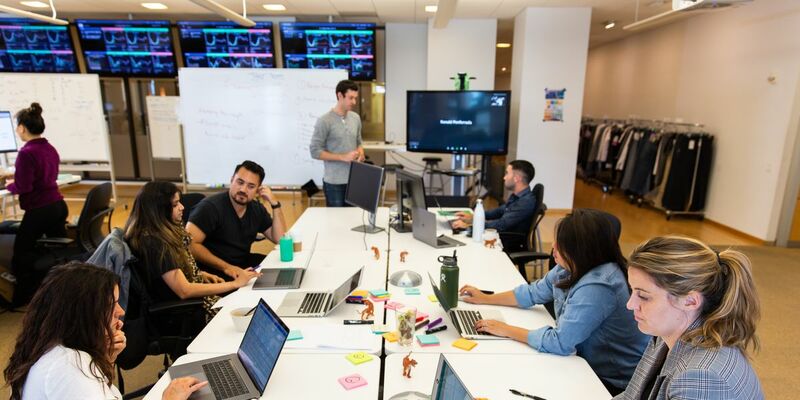 There’s desk space for analysts, whiteboards, Post-its, and open tables for people to meet, test, troubleshoot, bug-fix, and ultimately improve the customer experience. On any given day, you’ll find a digital marketer sitting next to a UX designer, across from a product manager and a data scientist all working together in real-time. Rachel Frederick, Director of Mission Control, has been with Gap Inc. since Mission Control was established by Digital SVP Noam Paransky in 2016. She said it’s the blend of professional backgrounds of individual team members – from technical support services, web development, product management, data analytics, and online marketing – that make Mission Control a successful collaboration. A “code-red” situation occurred during last year’s Cyber Monday, one of the most heavily-trafficked peak days for online shopping. 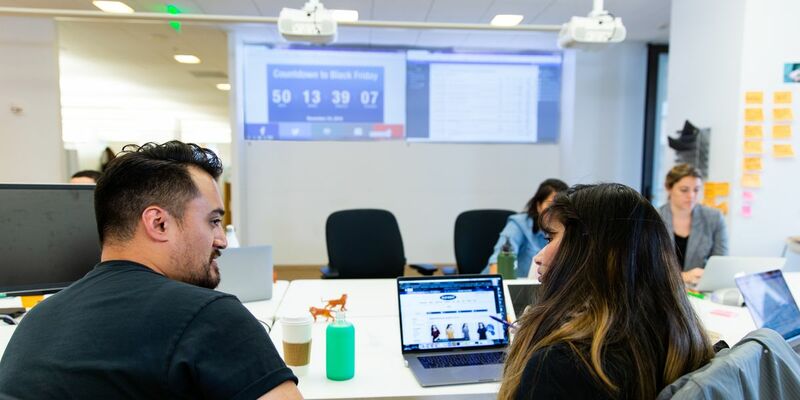 The Mission Control dashboards indicated one brand’s ecommerce business started off soft, meaning they weren’t meeting internal expectations as the big day kicked off. The team had to act fast. By assessing the conversion funnel, they proposed leaving the promotion as is, but replacing marketing images on the home page with the images used on Black Friday that had a positive reaction from customers. In a short turnaround, the team ran a test, reported positive results, got the go-ahead from brand partners, and implemented the solve. Without the ability to bring these teams together quickly in Mission Control, this wouldn’t have been executed in such a short turnaround. To prepare for increased traffic and demand this year, the team is constantly evolving and iterating tests to enhance the customer’s journey through the brands’ websites and removing pain points from the online shopping experience. “Since customers don’t shop in a linear way, it’s important for our assessment efforts to mirror that. We’re not just looking at site speed, add to bag, promotion redemption and the checkout process, but we’re also listening to customer feedback. Customers leave feedback about their experience while shopping our sites, and every single one of those comments are read and acted on,” Frederick said.